Marvel Entertainment has lined up the cast for their upcoming live-action Freeform series New Warriors, led by Doreen Green / Squirrel Girl actress Milana Vayntrub (This Is Us, AT&T commercials) and Derek Theler (Baby Daddy, Shark Killer) as Craig Hollis / Mister Immortal. 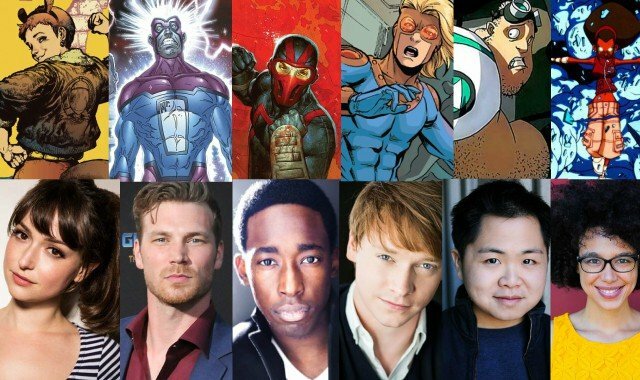 Joining (pictured above from left) Vayntrub and Theler are Jeremy Tardy (Dear White People) as Dwayne Taylor/Night Thrasher, Calum Worthy (Austin & Ally) as Robbie Baldwin/Speedball, Matthew Moy (2 Broke Girls) as Zack Smith/Microbe and Kate Comer (The Comeback) as Deborah Fields/Debrii. “I am thrilled beyond belief to be working with this incredible group of actors. They are funny, sincere, eager, charming and perfectly embody these characters. It’ll be a blast and an honor to create this show with each of them, “ said showrunner Kevin Biegel (Enlisted). The network has ordered ten 30-minute episodes slated to debut 2018. 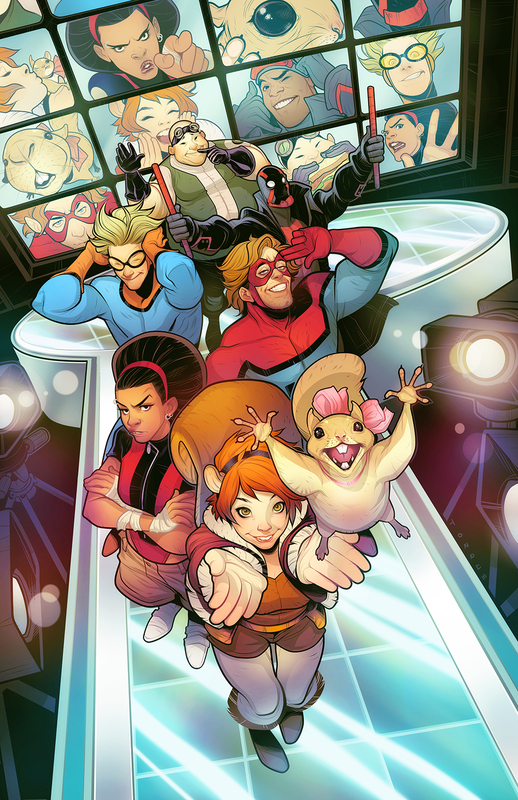 Marvel’s New Warriors is about six young people with powers living and working together. With powers and abilities on the opposite end of the spectrum of The Avengers, the New Warriors want to make a difference in the world… Even if the world isn’t ready. Not quite super, not yet heroes, Marvel’s New Warriors is about that time in your life when you first enter adulthood and feel like you can do everything and nothing at once — except in this world, bad guys can be as terrifying as bad dates. The series is co-produced by Marvel Television and ABC Signature Studios. Kevin Biegel (Cougar Town, Enlisted) will serve as showrunner and executive producer, with Marvel’s Jeph Loeb (Marvel’s The Defenders, Marvel’s Punisher) and Jim Chory (Marvel’s The Punisher, Marvel’s Inhumans) as executive producers. Are you guys excited for New Warriors? Let us know in the comments or tweet us @ComingSoonnet.